Thank you for your interest in the Bent Image Lab Masterclass with Chel White and Rob Shaw. However at this time, registration for this event has closed. From September 26-30, 2018 downtown Ottawa will once again be the stage where you can enjoy the world's most cutting-edge, thoughtful, funny and provocative animation films while mingling with many of animation's most celebrated stars, studios and characters. The Ottawa International Animation Festival (OIAF) is one of the leading events of its kind in the world. It's an annual five-day event that has been bringing the animation community together in a vibrant hub since 1976. With a total attendance of 28,000, it attracts artists, producers, students and animation fans from around the world. 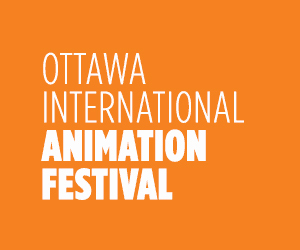 Check out the 80+ screenings, talks, and exhibits presented in venues across downtown Ottawa. Doors open 30 min before showtime. Ticket (digital or printout) must be presented at the door for admission. Memberships/senior id/ or stub from Geek Market/Maker Faire MUST BE SHOWN with a member ticket. Please arrive 15min before showtime. If you have any questions, please call 613-232-6727 or info@cfi-icf.ca. Want to follow SNAPUP Tickets?